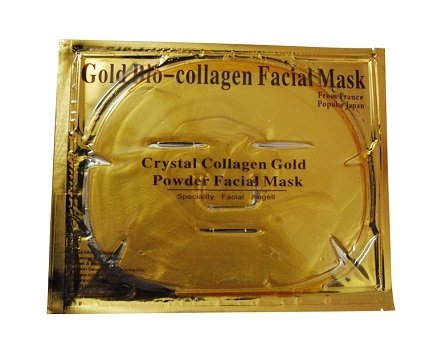 This Bio-Collagen Facial Mask is formulated with pure gold, natural bio-ingredient, hydrating compound to deliver to you a more defined, younger and glowing look. This luxurious and natural skin treatment is being used by many spa internationally. Formulated with proprietary ingredient carrier, moisturizing element, to harness the power of pure gold and all its healing benefits to the skin. Gold can slow down the skin collagen depletion and elastin breakdown. This mask stimulates cellular re-growth at the basal layer to regenerate, combats, damaging free radicals, stabilizes skin immunity, rehydrates skin and improves skin elasticity, thus reducing the appearance of premature aging. The bio-active ingredtients enhance facial slimming, sculpting, whitening and even out skin tone effectively.